Today is Prince Hock #1's 4 th birthday! Happy birthday to one of my favorite people. 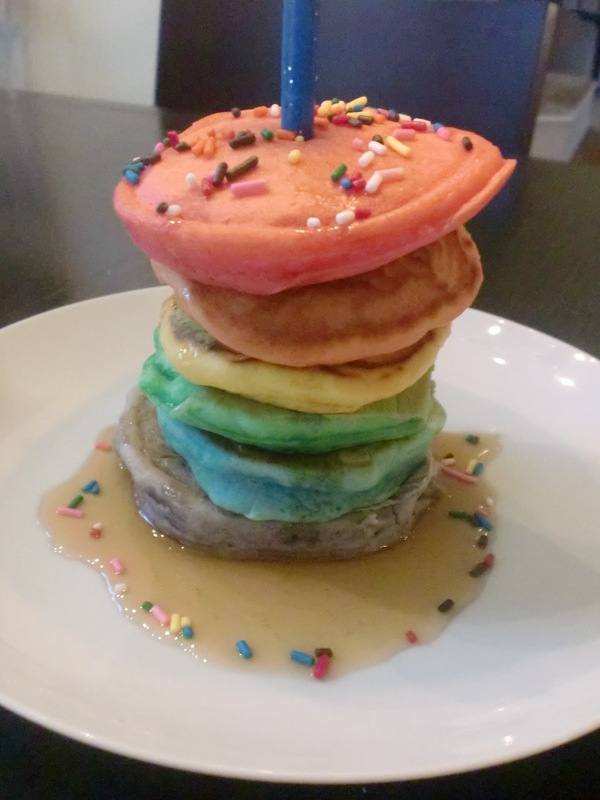 I wanted to make him an extra special breakfast, and I knew that had to include singing him happy birthday with a lit candle and all. I asked him what he wanted for breakfast, and he requested pancakes. 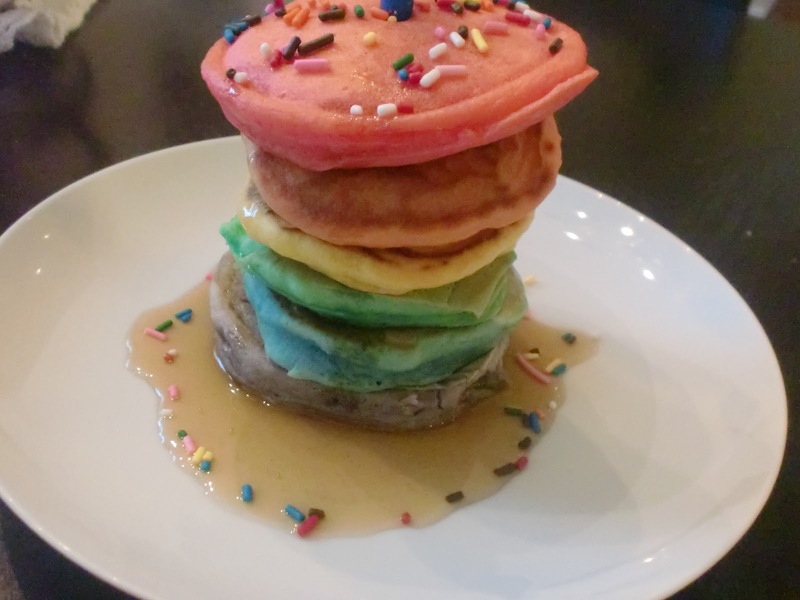 I suprised him with rainbow pancakes. He went crazy, he and Prince Hock #2 loved them. I first saw rainbow pancakes on another blog, I wish I could give them credit, but I can't remember what blog. These are so easy to create. Just make your normal pancake batter. Split it evenly into 6 bowls. Tint each bowl with food coloring, red, orange, yellow, green, blue, and purple. I had to mix colors to make the orange and purple. Then make the pancakes as usual. Stack in the order listed above, on the plate. I topped them with pure maple syrup (I would never use anything but real maple syrup). I decorated them with sprinkles too. Happy birthday to my not so little boy!